In April, the revamp of IDW's G.I.Joe line takes centre stage with the death of Cobra Commander. Yeah, there's still Godzilla, Transformers and co. - but what's gonna' top that? 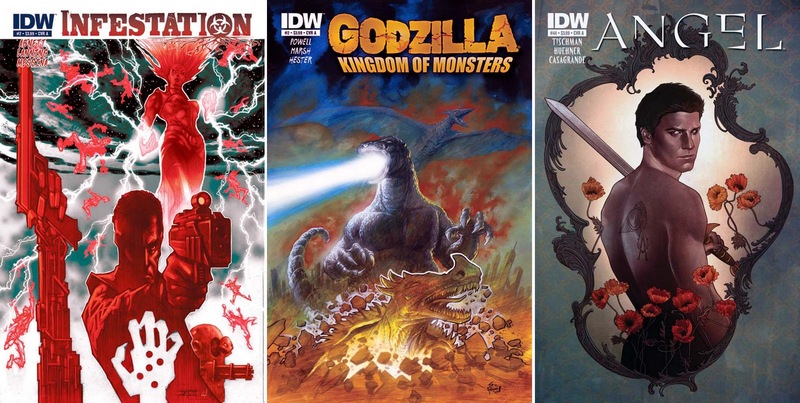 Well these four covers from the IDW April solicits are sure going to try. CLOSE CONTENDERS: (Click to enlarge) JK Snyder III - Infestation #2, Eric Powell - Godzilla: Monster World #2, and Nick Runge - Angel #44. 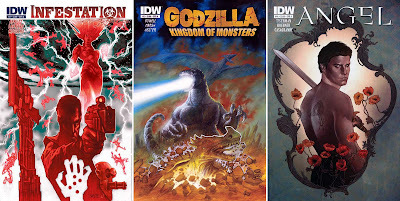 For the full rundown on IDW in April click the jump. 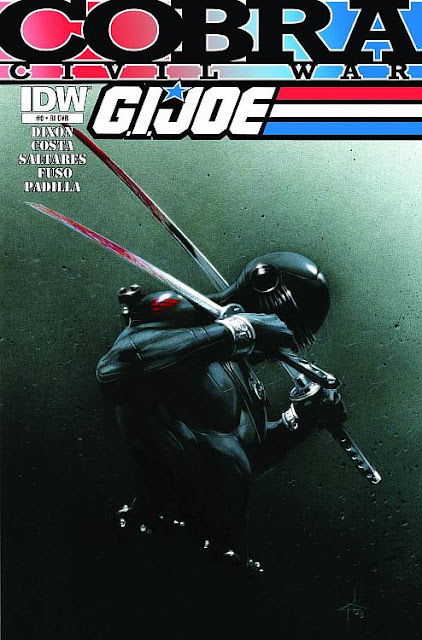 Intense Snake Eyes cover. Gotta show that one to boy. He'll love it. Snake Eyes always was the best of the best. All the way back to the silent issue of the original series. That's a framable cover if ever I saw one. oh definitely framable Random. IFF have you seen the new show on HUB? It looks like the Joe team has gone rogue because Cobra is masquerading as a legitimate corporation and has run them underground. Yes Craig but unfortunately i have only seen 2 episodes featuring the arashikage clan, but i will catch up. Thanks guys - glad you all like the cover as much as I - that Gabriele Dell'Otto is one mighty talented dude!